IT'S the mystery that still has the world holding its breath - just what happened to missing Malaysia Airlines flight MH370? It's an area that's not yet been searched by investigators. 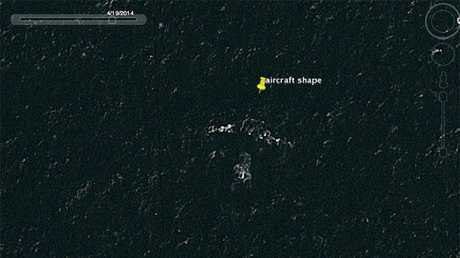 In one of the images, the outline of part of an aircraft is visible just below the surface of the water, the UK's Daily Star reports. 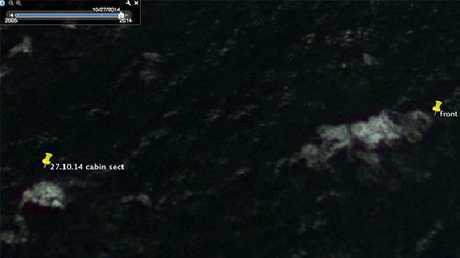 In another, what appears to be a piece of the front cabin can be seen south of Rodrigues Island, also close by. "Four Americans were sent to Australia to oversee the findings of MH370," he said. "They have made sure that all information received has been hidden from the public, even our government - but why? "...(they) do not want it found as it's full of bullet holes, finding it will only open another inquiry." 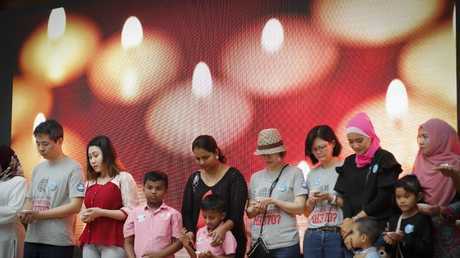 Malaysian Airlines Flight 370 vanished from radar en route from Kuala Lumpur to ­Beijing on March 8, 2014. No distress signal or message was sent and all 239 passengers and crew on the Boeing 777 are presumed dead. 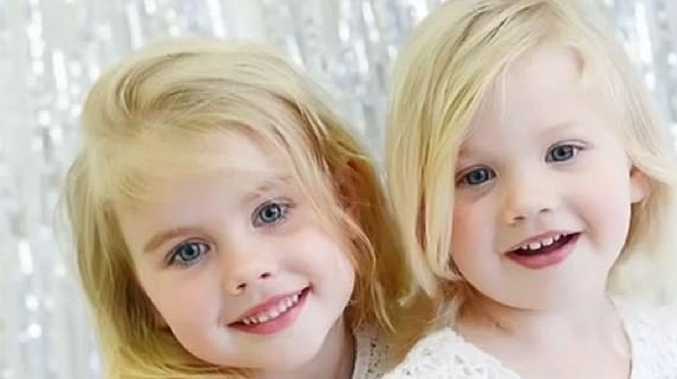 The aircraft is believed to have made a radical change of course less than an hour after it took off and crashed in the ocean off Western Australia six hours later. news.com.au has contacted the ATSB.